Milk is a wonderful substance for promoting growth. After all, that’s what it’s designed to do. That can become a problem, though, when what’s feeding off the milk’s nutrients is more sinister than a calf or a baby. Milk can also be a veritable banquet for a host of microbial growth, and when it’s stored at room temperature, bacteria and other pathogens soon begin to proliferate. That’s why the process of pasteurisation is so important, and in this article we’ll take a look at just how and why that is. But first, just how dangerous is unpasteurised milk? Well, the U.S. based Centers for Disease Control (CDC) says that imperfectly cared for milk is the cause of almost three times more hospitalisations than any other foodborne disease source, making it one of the world’s most perilous food products. The list of potential pathogens in milk (which pasteurisation kills the majority of) includes Salmonella, Listeria, Yersinia, Campylobacter, Staphylococcus aureus, and more. Pasteurisation, by killing all these pathogens and other nasties that live in the milk, massively increases its shelf life. High-temperature, short-time (HTST) pasteurised milk often has a refrigerated shelf life of two to three weeks, whereas ultra-pasteurised (UHT) milk can last much longer, sometimes two to three months. Combined with special packaging technology, UHT milk can last as long as 9 months. The process of pasteurisation has not always been the norm. Before industrialisation, people kept dairy cows close by, meaning the milk was fresh enough not to be dangerous. As supply chains lengthened, however, aging milk began to become recognised as a source of disease. 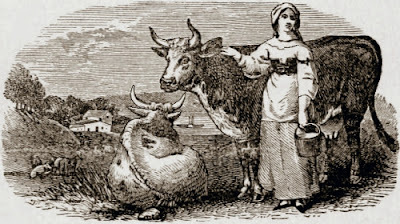 This led to the development of traditional forms of pasteurisation in the 18th and 19th centuries, whereby milk or cream was “scalded,” and quickly heated to kill germs. In the early 20th century, the standard method changed to a longer, lower-temperature heating (e.g. 60°C for 20 minutes). This gradually spread and became accepted practice, with some states in the U.S. implementing mandatory pasteurisation laws as early as 1947, and the Federal Government enacting country-wide legislation in 1973. Nowadays, modern methods have reverted to the extremely high heat, but heavily reducing the time of heating and add cooling to reduce curdling. The two main categories of pasteurisation, HTST and UHT, both fall under this description. 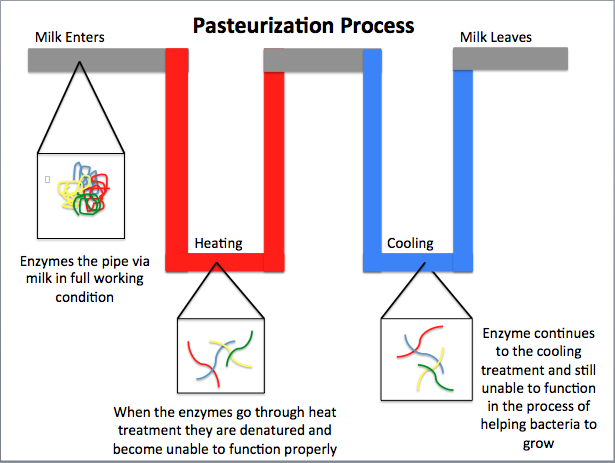 The above image shows a rough approximation of the pasteurisation process. In the first one that we mentioned, HTST, milk is forced between hot metal plates or pipes heated using hot water, which raises the temperature of the milk to 72°C for 15 seconds. Milk that is simply labelled pasteurised is usually treated with the HTST method. For even longer-lasting milk, the UHT method is often preferred. This nearly doubles the heating temperature to 140°C for 4 seconds by spraying the milk through a nozzle into a chamber filled with high temperature steam under pressure. After it reaches 140°C it is instantly cooled in a vacuum chamber then packed in sterilised containers. 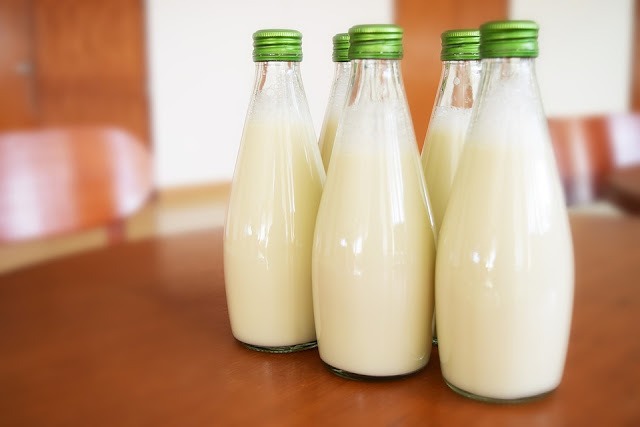 There are also a couple of less widely used alternative pasteurisation methods such as ESL, which adds a microbial filtration step, and home pasteurisation, heating the milk to 63°C for 30 minutes, which is still FDA approved. The newest pasteurisation technology is microwave volumetric heating (MVH), which uses microwaves to deliver energy evenly at the minimum necessary hit, preserving heat-sensitive ingredients. Pasteurisation methods are usually controlled and standardised by national regulatory bodies, such as the FDA in the U.S., or the FSA in the U.K. Generally, these agencies decree that milk must be at least HTST-treated to qualify for the label of pasteurised, although specific temperature and time designations can vary by authority. Pasteurisation is a very effective food safety technique when it comes to milk, and when done properly it kills 99.999% of viable micro-organisms in milk. This destroys most yeast, moulds, common bacteria, and other pathogens. The process must take place under full quality control and verification conditions. The milk must be heated evenly, with no part of the milk getting shorter times or lower temperatures. In terms of monitoring, microbiological measurement techniques can be used, but they can be costly and time-consuming, meaning products may have already spoiled. Usually milk pasteurisation efficacy is monitored by checking for the presence of alkaline phosphatase, which is denatured by pasteurisation. Overall, pasteurisation marks a key step in making one of the most dangerous food products for foodborne pathogens into one of the safest. Milk is so widely consumed in the Western world, and that’s largely possible thanks to the benefits of pasteurisation.